With all the new car intros at recent auto shows in the U.S. and abroad, it may be tough to focus on the best compact cars 2011 that are available right now. Not to worry, we’ve got it covered. Here are our suggestions for the best of the lot. 2011 Chevrolet Cruze – All-new, the 2011 Chevrolet Cruze is a compact sedan that not only turns heads, but garners top marks for safety, fuel efficiency (up to 42 mpg highway with Cruze Eco, 36 mpg highway in other trims), and overall well-rounded abilities. 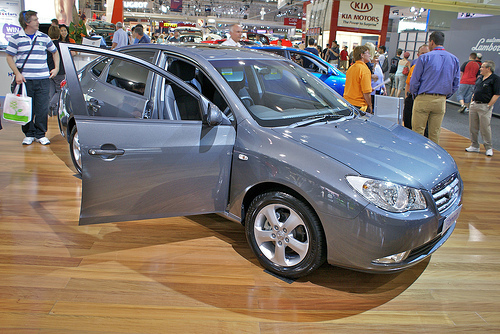 Cruze comes with 10 standard airbags –- including driver and front passenger knee airbags. Along with standard electronic stability control, anti-lock brakes, and a Top Safety Pick designation from the Insurance Institute for Highway Safety (IIHS), such distinctive features make the 2011 Chevrolet Cruze an outstanding pick for best compact cars 2011. Edmunds comments: “After all the calculations are done, the 2011 Chevrolet Cruze should provide comfort and space and build quality never before seen in this segment at this price.” Starting manufacturer’s suggested retail price (MSRP) for the 2011 Chevrolet Cruze is $16,275. airbags, EPA-estimated 29 mpg city/40 mpg highway fuel economy, and more room inside than Honda Civic, Toyota Corolla and Nissan Maxima, the 2011 Hyundai Elantra just begs to be driven. AutoWeek comments: “Howlin’ enthusiasts might want a more sporty Mazda 3 or a Civic, but the majority of buyers in this segment aren’t enthusiasts. For them, Hyundai has offered a solid option to consider in the class, loaded with available features such as a seven-inch navigation screen, 360-watt premium audio and proximity entry key.” MSRP begins at $14,830 for the 2011 Hyundai Elantra GLS. 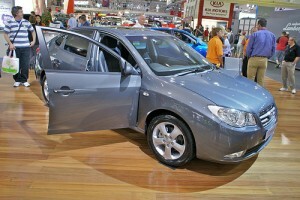 prime candidate for best compact cars 2011. Why? Try zippy handling and a total blast-to-drive experience. Consumer Guide names it a Best Buy, for good reason. 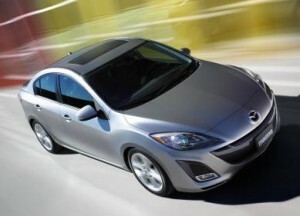 Editors say: “It’s little wonder why the Mazda3 is the brand’s best-selling car. It boasts a stable ride, solid cabin appointments, a versatile hatchback body style, and a fun-to-drive character unmatched by most like-priced rivals of any size.” Starting MSRP for the 2011 Mazda Mazda3 sedan is $15,800 and $20,045 for the five-door hatchback.